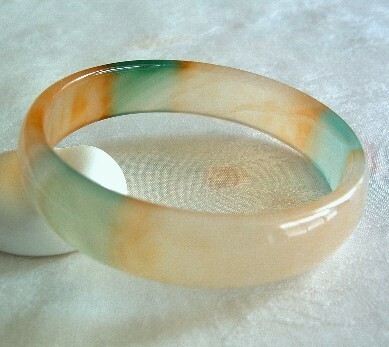 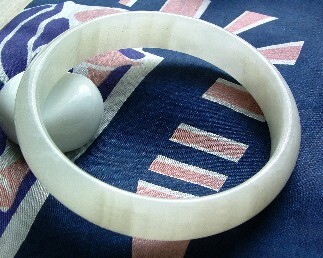 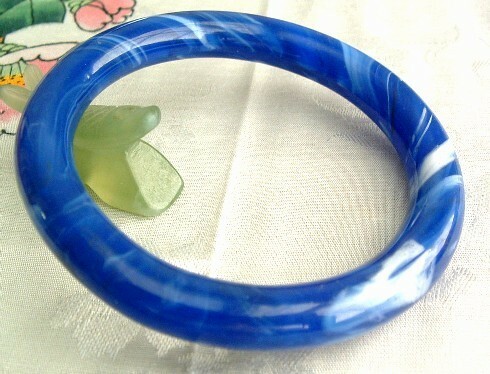 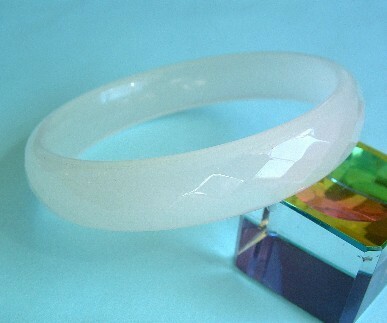 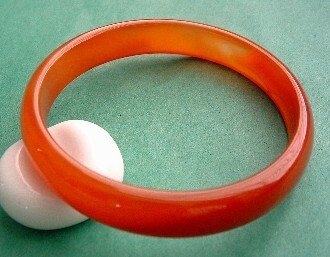 Chinese Dushan Jade has slightly round inside, easy to wear thickness, highly polished, classic Chinese Jade bangle to treasure. 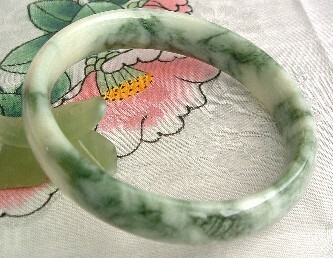 White with honey tinge and distinctive, deep green marbling. 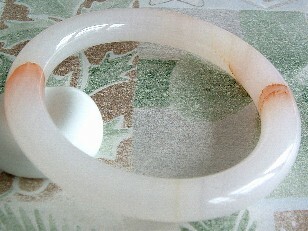 Chinese Manao Jade has flat inside, thicker, very translucent with natural swirls and patterns in honey-gold and turquoise mists over clear white. 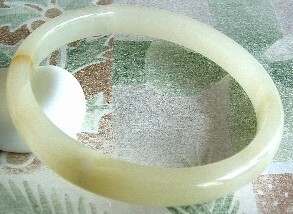 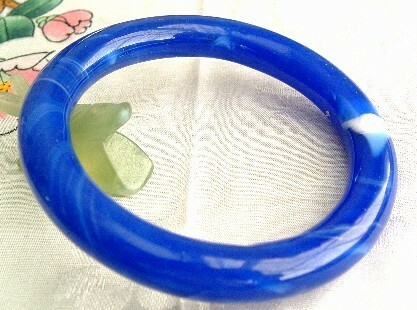 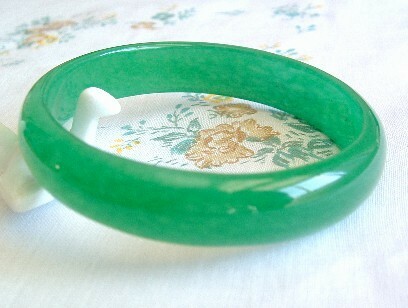 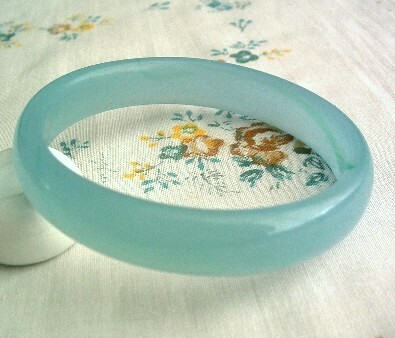 Chinese Dushan Jade has light green white and multiple lovely color. 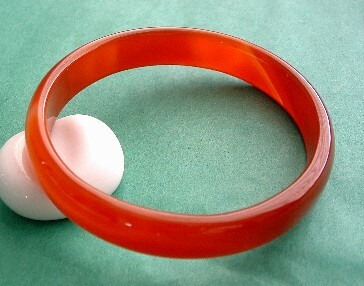 has white and red lovely color. 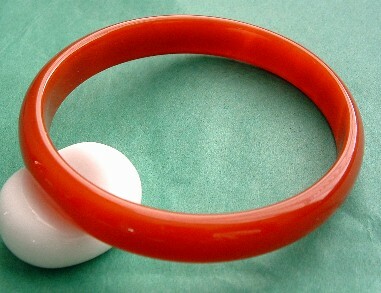 lovely red color and highly polished.